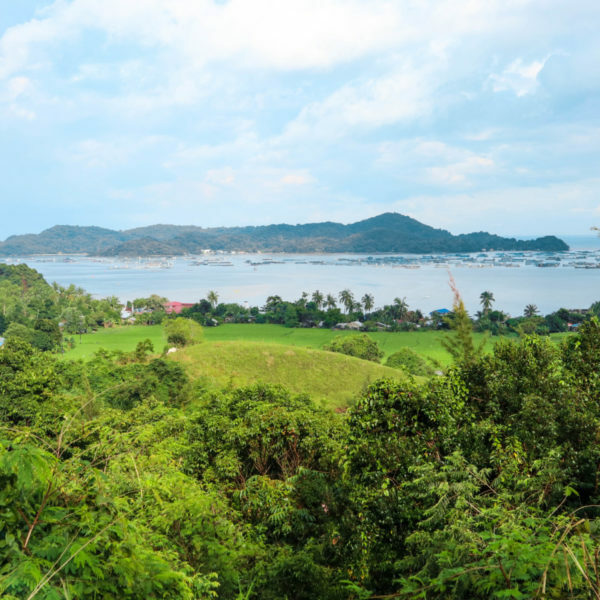 I would never have associated Pangasinan to be a gastronomic destination – not until I have tasted the first pigar-pigar and kaleskes of my life. Ilocanos are notorious for being stingy (in a good sense), but they are never close-fisted when it comes to their meal ingredients. 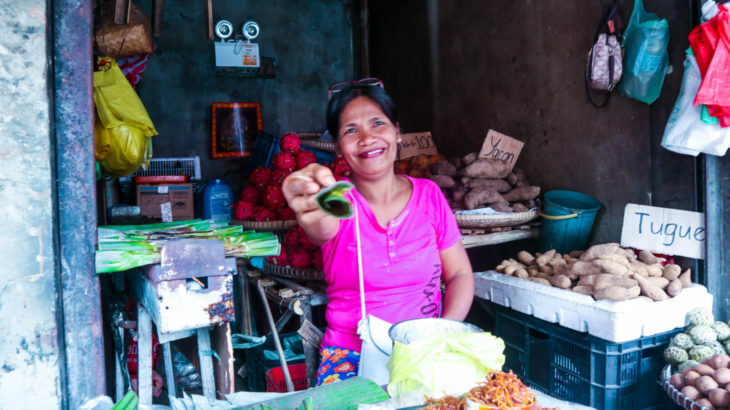 Thanks to Chef Waya Araos-Wijanco of Gourmet Gypsy, she made sure that we get to experience each delicacy with much gusto by touring us around her beloved hometown. 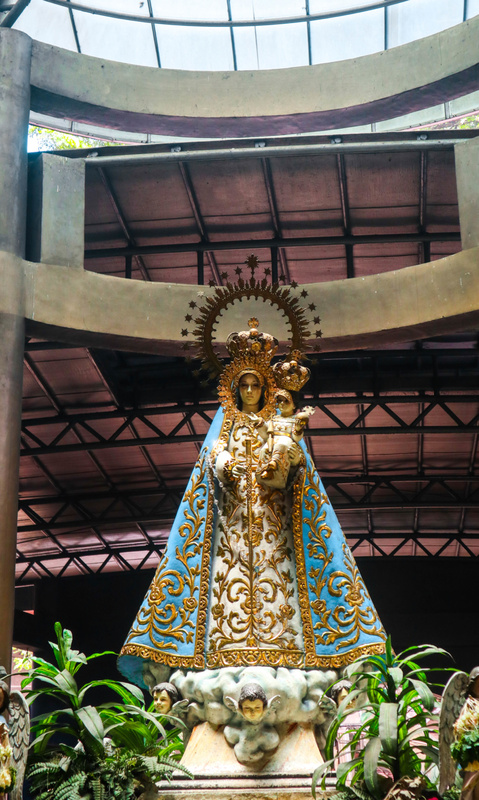 We started off the day by paying a visit to the Minor Basilica of the Our Lady of the Most Holy Rosary of Manaoag. For devout Catholics, a trip to Pangasinan is never really complete without lighting a candle at this famous Marian shrine. 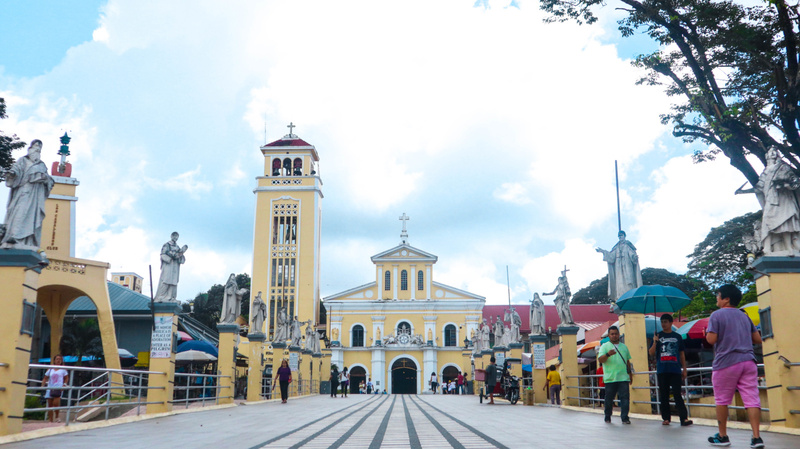 Almost always packed with believers and devotees, the Manaoag Shrine has long been known for its stories of answered prayers and miraculous occurrences. We were just lucky enough to have gone on a weekday, making it easier for us to breeze through the religious compound without a sweat. After an hour or so of prayer, we were quite hungry already as we had our first and only stop over at NLEX two to three hours prior to arriving at Manaoag. 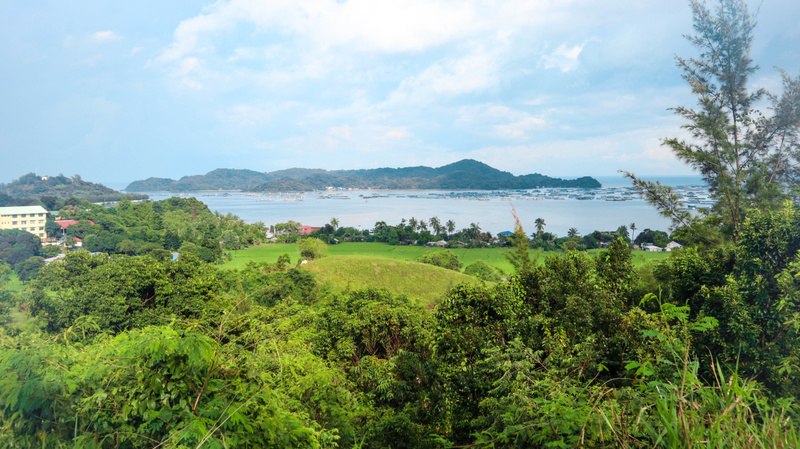 Luckily, we were welcomed by quite a sight of two popular Ilocano favorites known as tupig and patupat. Seeing that first sight of a banana leaf-wrapped delicacy, we couldn’t feel but be more thankful that we have officially started our Pangasinan food tour. Each stall of tupig and patupat is different from one another. 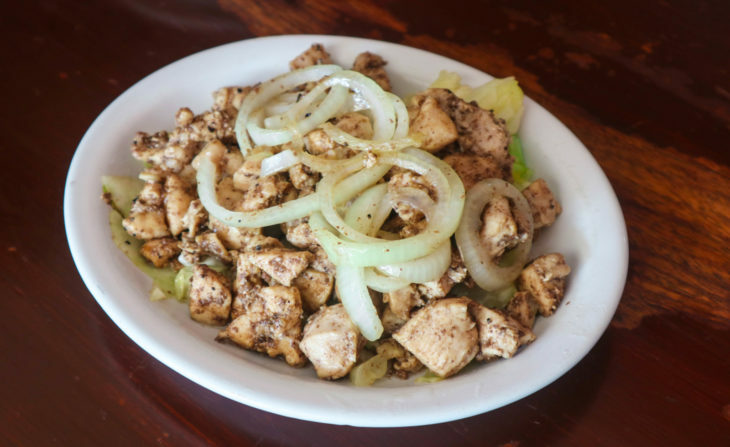 The proud makers of these specialties have created their various takes on the original recipe, making it truly their own. Tupig is a suman made of coconut shavings and coconut milk; sugar and sweet rice grains and then cooked on a smoking hot grill. Some like to put a dash of regular milk on the mixture, but the loyal ones like to keep the classic recipe untouched. Patupat, on the other hand, is another type of local suman that is intricately wrapped in a woven palm leaf pouch. 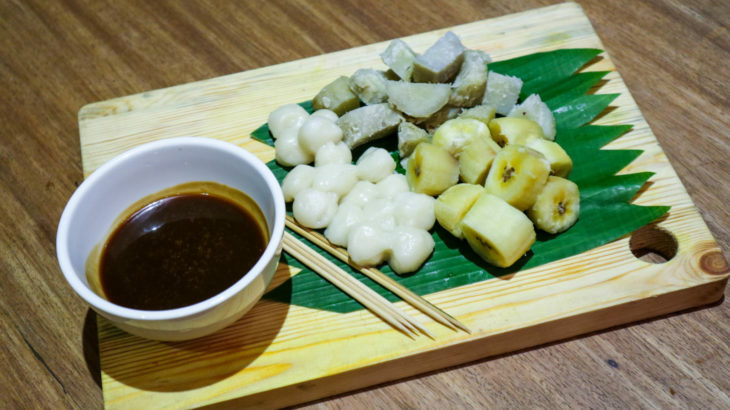 It’s made of sugar cane, coconut milk and glutinous rice – and sometimes an added saccharine flavor from brown sugar or molasses. The smoky flavor of the tupig was remarkable but for someone who has a sweet tooth like me, I liked the patupat better because it’s obviously on the sweeter side, thanks to the sugar cane ingredient. Unfortunately, we had to cut our suman tasting short as we went on our way to Dagupan, a 45 minute drive from Manaoag to find the best tasting pigar-pigar in town. The minute I heard that we were in search of this particular Dagupan dish, I couldn’t help but ask, “What in the world is pigar-pigar?” Made up of carabao meat stir fried with cabbage and big rings of onions, it sounded a bit simple and something that a picky eater like me would eat. 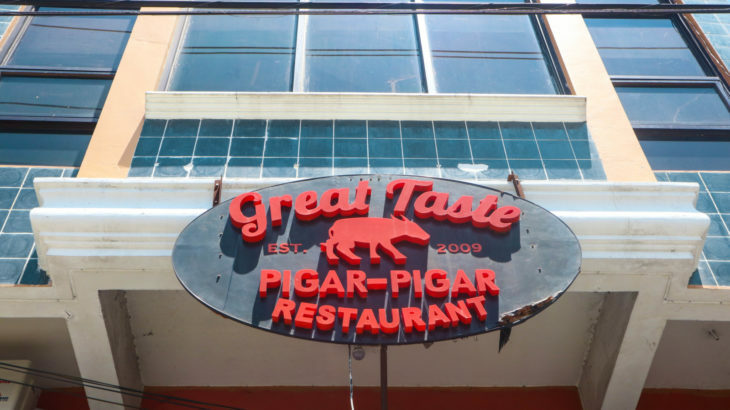 Upon reaching Arellano St. in Dagupan, we were led to this humble street-side restaurant named Great Taste Pigar-Pigar Restaurant. The place was filled with wooden chars, tables, and that wonderful aroma of a home kitchen. I heard my stomach growl for a good ten seconds and I knew that I was ready to eat my heart out. The restaurant served a wide array of genuine Ilocano dishes including pinakbet, bangus sisig, two versions of pigar-pigar – carabao meat and chicken – and my favorite, kaleskes. Since my mom cooks a nice version of pinakbet and it’s almost every week that we have Dagupan bangus in our house, I went straight to the pigar-pigar and kaleskes. Between the two varieties of pigar-pigar, I was surprised to enjoy the carabao meat more than the chicken variety as we’ve been taught that carabao meat is supposed to be chewy and hard. 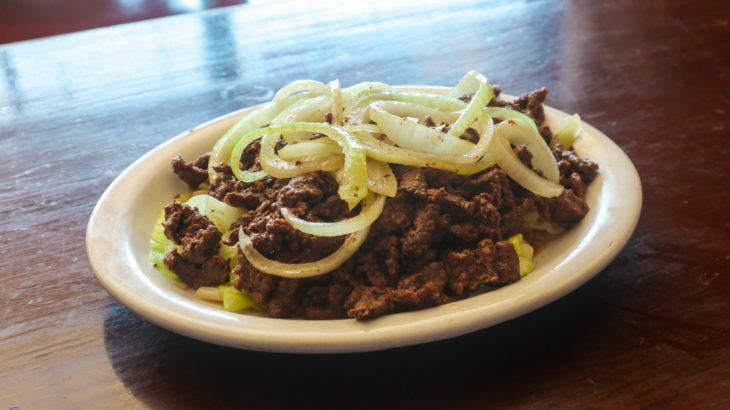 But because of the way Great Taste Pigar-Pigar Restaruant prepares the meat, we find it soft and filled with flavors that even those with dentures can eat it. But what swept me off my feet was a dish called kaleskes. 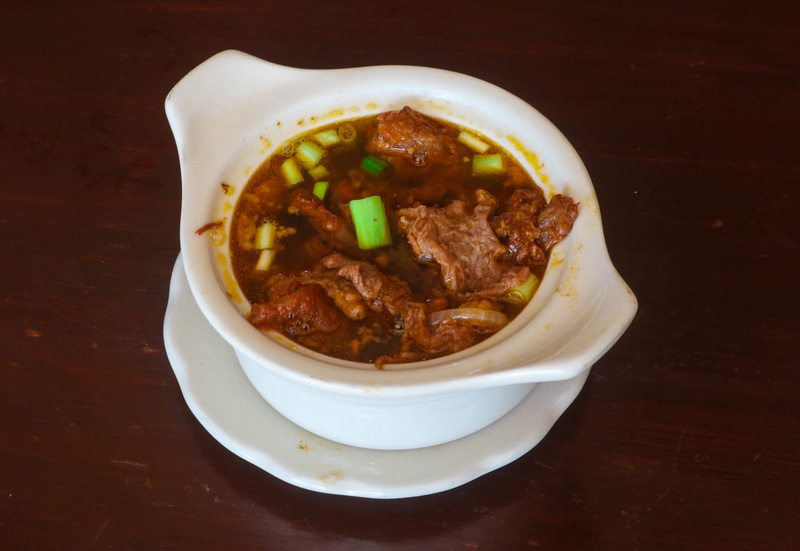 It’s like a cross between Filipino favorites papaitan and bulalo. And for someone who adores soup dishes so much, this one is now easily my go-to Ilocano meal. I don’t know how to begin to describe kaleskes but let me start by saying I had three rounds of rice (or was it four? ), I can barely remember. All I know is that this little soup of pork innards swimming nicely in a savory broth was like a warm hug from my favorite person. 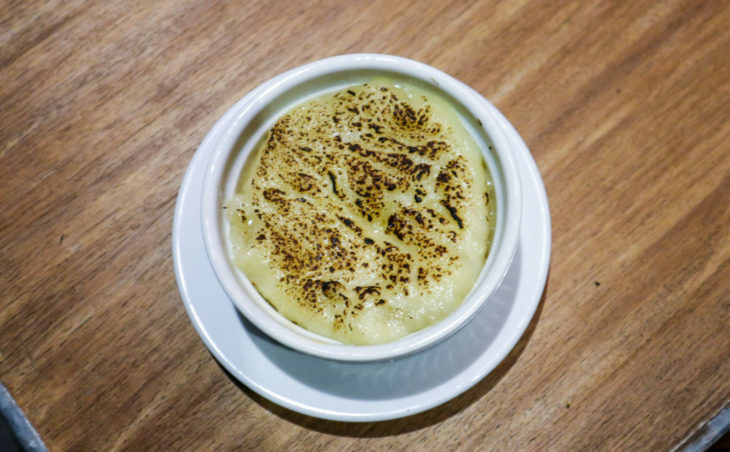 It has the right amount of tartness that makes you crave for more. Tempted as I was to raid their kitchen and look for the recipe, our time there has ran out and the group has started walking towards the car. And then, on we went to yet another food hunt – this time, for desserts. 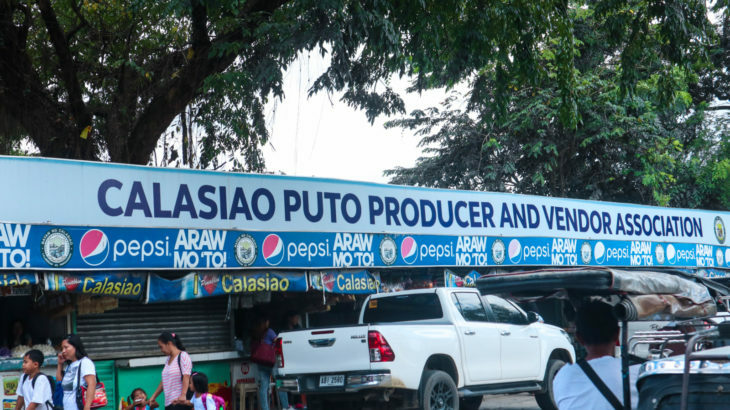 We found ourselves along the stalls of the colorful baskets of puto in Calasiao Puto Producer and Vendor Association, just across the Bayan ng Calasiao marker. Even after loading up my belly with gracious meals from the previous stop, I felt like I have enough room for a couple more bites of this fluffy treat. 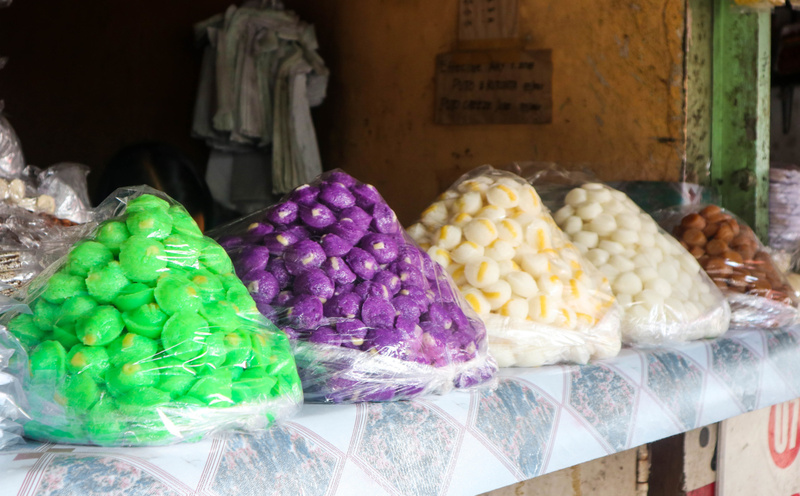 We were generously given a free taste of each puto, including the classic, cheese and ube flavor. They also have a selection of suman not limited to tupig and patupat as well. Just when I thought we were done for the day, an even grander feast was prepared for us at the Masamirey Cove Resort in Sual where we were checked in for the night. 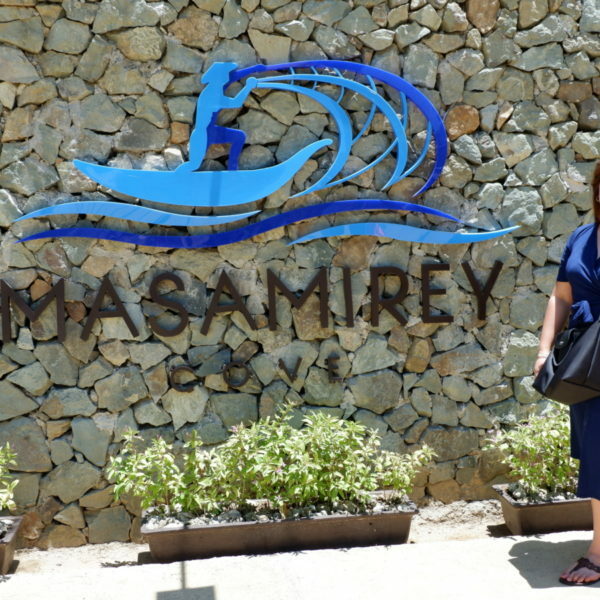 An hour and 45 minutes away from Calasiao, Masamirey Cove Resort is a bit down the unbeated path but the drive was worth it. Chef Waya, the chef consultant of the resort, wowed us with her skills and her flair for all things unique. Having prepared for us a variety of dishes that best represent the Pangasinan region, Chef Waya boasts of her take on the pigar-pigar calling it her “pinaka-mayabang na pigar-pigar”. What’s different on her take? 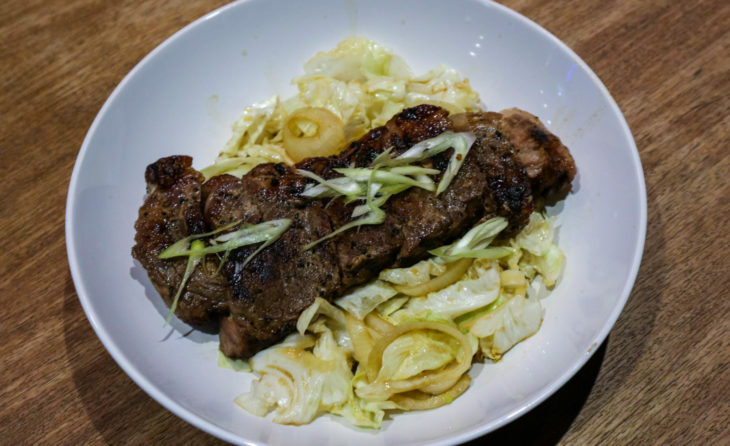 She uses premium cut wagyu beef cooked a la pigar-pigar style with heaps of cabbages and onions. What a unique way to elevate a classic dish! As the night was coming to a close and we were about to say goodnight, the lovely Chef stopped us in our tracks and served us a mouthful of scrumptious desserts. First out of the kitchen was a delectable crème brulee topped with tupig while the second dish was a platter of Pinoy snack preferences with a sweet dip on the side; a little like your regular fondue but transformed into something Filipinos would love and be proud of. Overall, it was long but fun and sweet day for my palate but I knew it had to end eventually. So for those that plan to head up north, you now know what to try and the places to go to. But honestly, in my honest and most humble opinion, there’s no better way to experience genuine Ilocano cuisine other than being shown around by a proud Ilocana.